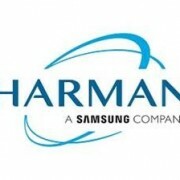 GENEVA INTERNATIONAL MOTOR SHOW – HARMAN International Industries, a wholly-owned subsidiary of Samsung Electronics Co., Ltd. focused on connected technologies for automotive, consumer and enterprise markets, is presenting its renowned audio and infotainment technologies for some of the world’s most important automotive OEMs at the 2018 Geneva International Motor Show. 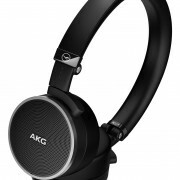 These include the latest HARMAN audio systems from Bang & Olufsen, B&O PLAY, Bowers & Wilkins, Harman Kardon and JBL. With its impressive range of high-end solutions on display across many of the world’s top automotive lines, HARMAN continues to reinforce its standing as the global market leader in car audio and infotainment technology. Launching in 2018, the all-new Audi A6 melds dynamic design and immersive sound in the same stunning package. Harmoniously integrated within its sophisticated cabin, the next-generation Bang & Olufsen 3D Advanced and Premium Sound Systems deliver enveloping 3D sound for all seating positions in the vehicle. The Bang & Olufsen 3D Advanced Sound System features Symphoria®, a revolutionary rendering solution for 3D surround sound reproduction developed by the Fraunhofer Institute for Integrated Circuits IIS, which works side by side with Bang & Olufsen’s multichannel matrix processing and Audi’s unparalleled elegance in a breakthrough collaboration to provide the best of three worlds. Acoustic lenses placed on the dashboard provide a rich soundstage that envelops all vehicle occupants, while improved tweeter drivers lower distortion and enlarged woofers offer greater bass capability. The new Bentley Continental GT features a luxurious, tailor-made Bang & Olufsen sound system with specially manufactured aluminium elements and illuminated speaker grills, creating unique and mesmerising moments inside the car. The visceral BeoSonic one touch experience in the car sets the right mood for meaningful moments behind the wheel. Four distinct sound spaces – bright, energetic, warm and relaxed – are a touch away. Surround intensity can be adjusted as well through pinching gesture, directly within the BeoSonic space. Additional settings can optimise the whole system for front or rear seats only, or for all seats. The all-new Lamborghini Urus scheduled for release in spring 2018 is equipped with a custom-designed Bang & Olufsen Sound System. Produced through close collaboration between Lamborghini, Fraunhofer IIS, and HARMAN, the system creates an immersive, natural 3D sound experience, combining Symphoria®, a revolutionary rendering solution for 3D surround sound reproduction developed by the Fraunhofer Institute for Integrated Circuits IIS, with Bang & Olufsen’s multichannel matrix processing and Lamborghini’s unparalleled sportiveness and power. Regardless of their seat, passengers are treated to a natural, clear reproduction independent of source and music genre, creating the impression of a three-dimensional sound stage that increases perception of the height, depth, and size of sound sources. The system also features Vehicle Noise Compensation (VNC) technology to further enhance the audio performance of this uniquely dynamic Super SUV. The Danish-designed door speaker grills in solid aluminium, with sparkling edges and refined glossy chamfers are tailor-made to perfectly fit the dynamic interior of the Lamborghini Urus. The silk matt surface is perforated with a characteristic Y-shaped hole pattern and each hole is scaled and positioned to pick up the lines of the door. Form follows function in order to achieve the ultimate performance and experience in the car. The rollout of B&O PLAY premium audio within the global Ford line-up continues with the introduction of the Ford Edge offering the elevated, transformative and powerful sound of B&O PLAY. Launching for the first time with B&O PLAY onboard, Ford’s largest SUV in Europe is receiving a facelift and a new ST-line variant introducing a new 238 PS 2.0-liter bi-turbo Ecoblue diesel engine, 8-speed automatic transmission and a new set of driver assistance technologies. The finely tuned B&O PLAY Sound System is set to achieve optimal performance levels for an enveloping sound impression in every seat regardless of how rough the road conditions might be. In 2015, the first Alfa Romeo vehicle with a Harman Kardon Premium Sound System hit the road, inviting vehicle occupants to sit back and be overcome by the transfixing sound of Harman Kardon. At Geneva, the Italian brand showcases its latest Stelvio and Giulia models offering an all-encompassing 360° music experience through a 14-speaker sound system with Logic7® surround sound technology. At Geneva Motor Show, the BMW Group will feature three vehicles that are complemented by the refined sound of Harman Kardon and Bowers & Wilkins. 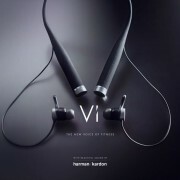 Harman Kardon automotive audio turns driving into a captivating on-the-road listening experience. With distinguished design touches, the audio system mirrors the elegance and premium interior of the BMW Group cars. Debuting at Geneva with Harman Kardon premium audio will be the all new BMW X2, BMW X4 and i8 and i8 Roadster electric vehicles. Co-engineered by HARMAN’s acoustic team, the Bowers & Wilkins Diamond Surround Sound System will be featured in diverse BMW 5, 6 and 7 Series sedan models. 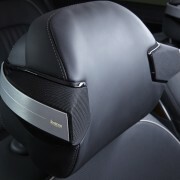 Bringing together the passion for engineering and design of all three companies, Bowers & Wilkins audio solutions present a truly unique, revelatory audio experience to BMW customers. A selection of HARMAN’s leading infotainment systems and technologies will also be presented in the BMW models on display in Geneva. The BMW Professional Multimedia Navigation system is seamlessly integrated into the BMW X4, the i8/i8 Roadster, and the 5, 6, and 7 Series, with features that include iDrive, a USB interface, voice control, a built-in 8.8″ colour display, and much more. The BMW X2 is equipped with the BMW Navigation Plus system, which includes such features as the BMW Heads-up Display, a built-in 8.8″ colour screen, an RDS double tuner, USB and Bluetooth connectivity, and more. Both the BMW Professional Multimedia Navigation and the BMW Navigation Plus also feature a wide range of helpful services that offer drivers a whole new level of connected comfort and convenience. 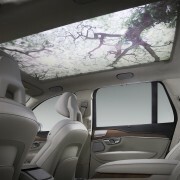 Kia customers can look forward to captivating sound experiences brought to them by Harman Kardon and JBL. A force of nature tamed for the road, the Harman Kardon audio system is the perfect match for Kia’s grand turismo fastback sedan, Stinger, that combines exhilarating driving pleasure with premium traveling comfort. Further enhanced by HARMAN’s Clari-FiTM music restoration technology and QuantumLogic® Surround technology, the car offers a sound you willingly surrender to. When the new Kia Ceed model rolls out to customers across Europe, various versions will feature the invigorating JBL Premium Sound System.With epic sound that draws you in, the 8-speaker JBL system ensures a listening experience as thrilling as the drive. Harman Kardon and Maserati’s ongoing sound partnership has led to Harman Kardon audio being available in all models, including the 2018 GranCabrio MC on display at the Geneva International Motor Show. 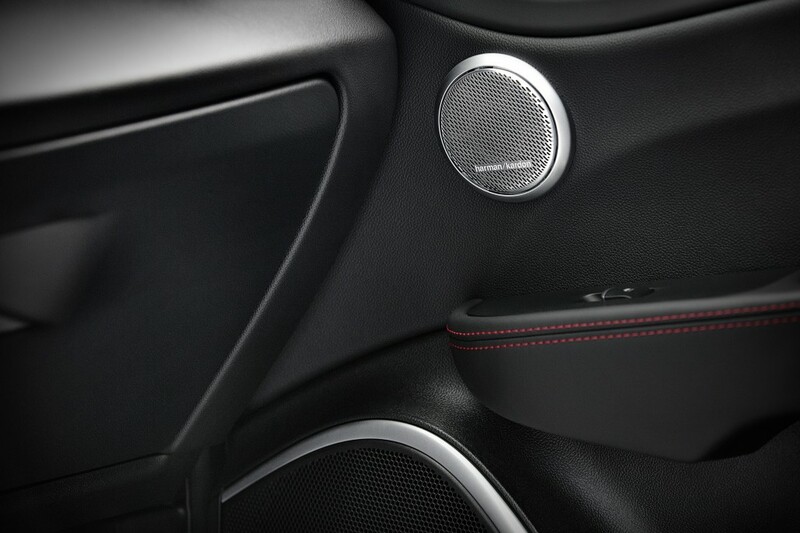 Drivers of the Maserati Levante and Ghibli models can opt in for Harman Kardon sound, while equipped as a standard on the Quattroporte, GranTurismo and GranCabrio. A powerful range of impactful sound is released from up to 14 strategically positioned and finely tuned, elegant speakers that let the entirety of the car radiate with the energy of striking sound. Bowers & Wilkins and Maserati both share the values of engineering excellence, design innovation, and an all-consuming passion for performance. On display in Geneva, the Ghibli SQ4 GranSport Nerissimo and GranLusso, the Levante S GranSport Nerissimo, the Quattroporte SQ4 GranLusso, and the Quattroporte GTS GranSport Nerissimo all feature ground-breaking Bower & Wilkins car audio systems that use highly advanced materials and Hi-Fi technologies for a pristine, detailed sound in every seat. 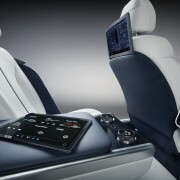 On display in Geneva, the Mercedes A-Class will showcase the new MBUX (Mercedes Benz User Experience). 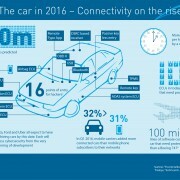 HARMAN has worked closely with Mercedes to deliver a system that takes the user experience to a new level thanks to technologies such as artificial intelligence (AI) and augmented reality, in addition to voice control with natural language processing and new Over-the-Air (OTA) system updates that allow drivers to stay connected without having to visit the dealership. Also visit the HARMAN showcase during the 2018 Geneva Motor Show to learn about HARMAN’s integrated approach to a truly rich, digital car experience that is centred around the user and to experience how HARMAN’s production ready in-car audio innovation delivers connected, intelligent and ultra-personalised next-level user experiences for the passenger economy… today. The HARMAN showcase is located at the Rinspeed booth No. 6240 in hall 6. ‘Click the below link to download the HARMAN In-Car Audio & Infotainment Technical Specification Overview’.